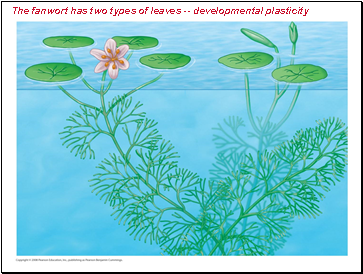 The fanwort plant exhibits developmental plasticity, the ability to alter itself in response to its environment. 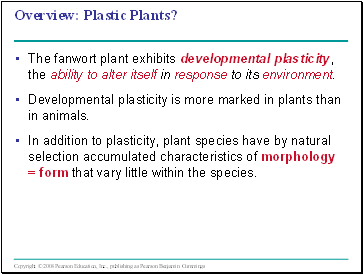 Developmental plasticity is more marked in plants than in animals. 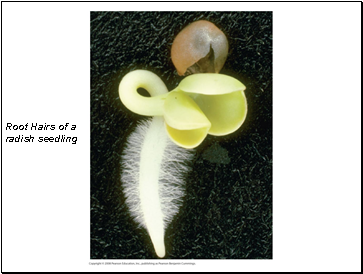 In addition to plasticity, plant species have by natural selection accumulated characteristics of morphology = form that vary little within the species. 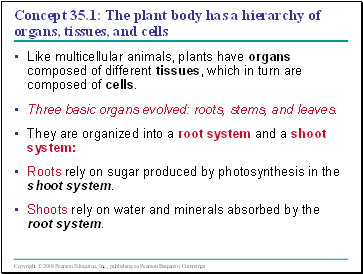 Like multicellular animals, plants have organs composed of different tissues, which in turn are composed of cells. 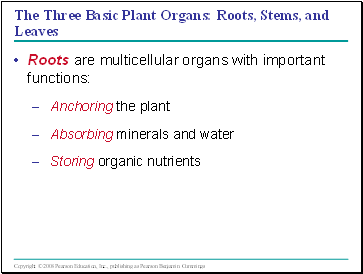 Three basic organs evolved: roots, stems, and leaves. 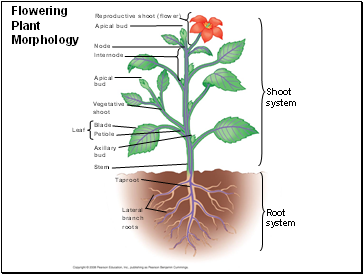 Roots rely on sugar produced by photosynthesis in the shoot system. Shoots rely on water and minerals absorbed by the root system. 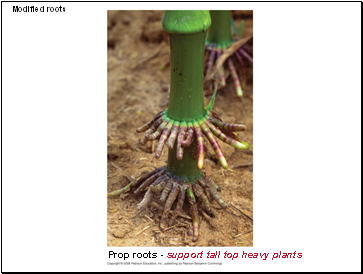 A taproot system consists of one main vertical root that gives rise to some large lateral roots, or branch roots. 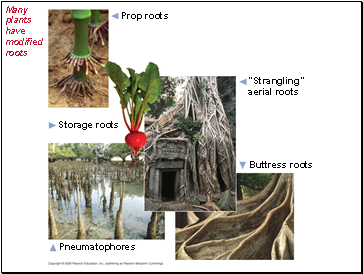 Adventitious roots arise from stems or leaves. 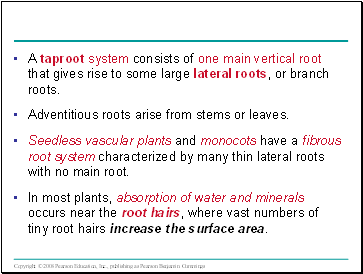 Seedless vascular plants and monocots have a fibrous root system characterized by many thin lateral roots with no main root. In most plants, absorption of water and minerals occurs near the root hairs, where vast numbers of tiny root hairs increase the surface area. Common Types of Plant Cells - are specialized of cells in structure and function.